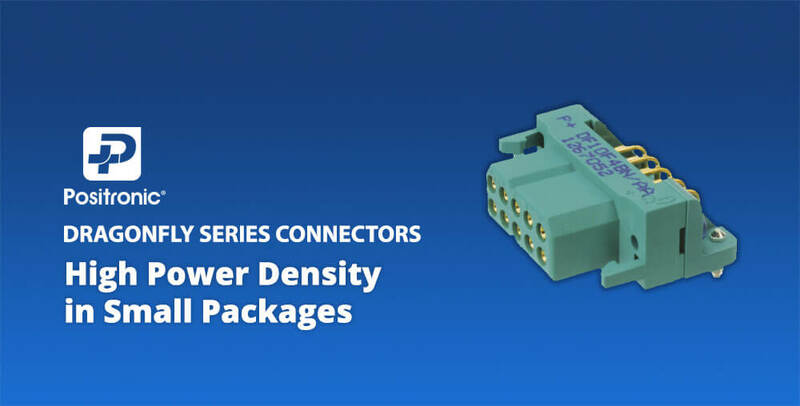 Dragonfly Series Connectors from Positronic Offer High Power Density in Small Packages » Electronic Salesmasters Inc. The Dragonfly series from Positronic is great for applications where high power density matters. The connectors have contact current ratings of up to 20 amperes per contact, depending on the model. Visit Positronic’s page to view more specifications and review their datasheet.